With the Sony Xperia XZ2 already unveiled earlier this year, you might think that Sony is done with flagship phones for 2018 – but you'd be wrong. 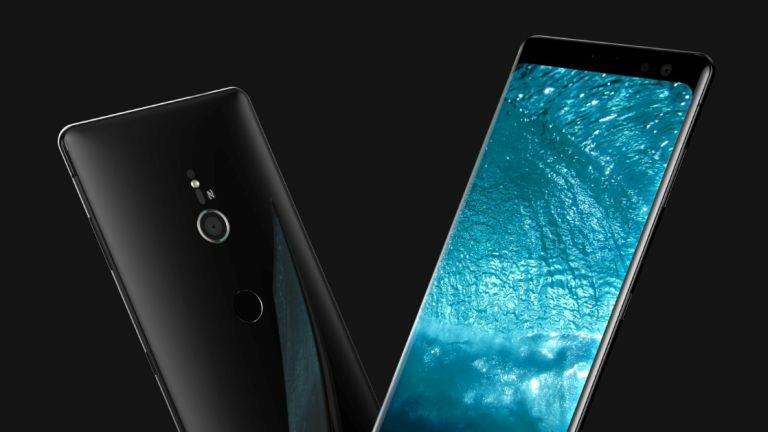 A new and improved Xperia XZ3 is coming down the line, and we already have plenty of leaks and rumours to report. If you're wondering whether to hold off on a phone purchase until the Xperia XZ3 appears, or you're just interested in what Sony's going to do next, we've got all the leaks and speculation you need to know about, ready for the phone's launch in the coming weeks. The Xperia XZ3 could be with us soon – very soon. It's predecessor the Xperia XZ2 was announced at Mobile World Congress at the end of February, a phone that was then swiftly followed by the Sony Xperia XZ2 Premium, with a 4K, HDR screen. Sony has organised an event for the 30th of August at the IFA 2018 expo in Berlin – a show where it's unveiled phones in the past – so it seems a safe bet that the Xperia XZ3 is going to make an appearance there, even if it doesn't go on sale right away. Look out for a mention of 5G in the advertising materials when the phone does appear, because it's being tipped to be the first 5G-enabled handset to hit the market. As for how much you're going to have to save up, the Xperia XZ2 went on sale for £699/$799, and we're thinking that the same sort of price point might apply here too. One retailer has already listed the handset at £749.99, which sounds about right for us (roughly $990, though a straight currency conversion is unlikely) – below an iPhone and and above a OnePlus phone. For a couple of years now, flagship and even mid-range phones have been ditching the bezels at the sides of the screen and making the front of devices all about the display. Up until now, that's a trend that Sony has only partially followed – but the rumour is that the Xperia XZ3 is going to change all that. We hope so too, because Sony's handsets are starting to look dated, even if the build quality and the components inside them remain top-notch. Leaked renders we've seen point to an elongated 18:9 screen, a sleek and stylish chassis, and those reduced bezels we've been waiting for. The 5.7-inch screen size of the Xperia XZ2 sounds like it's going to be retained, with a possible resolution of 1080 x 2160 just like its predecessor, though Sony might want to bump that up a little. As for other design details, such as colours and waterproofing, we'll have to wait and see. The Snapdragon 845 is the processor chip of choice for Android flagships in 2018, and we're not expecting the Sony Xperia XZ3 to be any different – in terms of performance this phone should be able to keep pace with any modern handset you want to put it up against in a head-to-head race. Along with that, a maximum of 6GB of RAM could be on the cards, and maybe 128GB of internal storage (Sony usually likes to stick to 64GB with support for an extra memory card, but it might go beyond that this time). All of those specs are unofficial for now, but they're educated guesses rather than random stabs in the dark. The star of the Sony Xperia XZ3 show could well be the whopping 48-megapixel single-lens camera around the rear. Camera optics is something Sony has always excelled at, and it has in fact already announced the 48MP sensor – just not the phones that it's going to show up in. This phone should excel at taking photos on the go. We're hearing that 5G support is definitely on the cards for the Xperia XZ3, something that most phones won't get until 2019 as the very first 5G networks begin to roll out across the world. You might think that 4G is fast enough for your needs – but wait until you've tried 5G, set to be up to 10 times faster. With a 48-megapixel camera and 5G speeds to its name, the Xperia XZ3 might not need much else to help sell it. We've seen previous phones from Sony include waterproofing and wireless charging capabilities, so these features should appear once again. We're actually hearing some encouraging rumours about the battery inside the Xperia XZ3 too, with Sony engineers said to be working on a pack that can last a whole week. That might not happen with this particular handset, but the signs are good. A revamped launcher application is also on the cards. What's more, we might see Sony do something to boost the audio capabilities of its next flagship. Obviously Sony makes some very decent headphones outside of its smartphone business, and it might use that expertise to try and give it another point of distinction compared to its rivals – we at least know this is something Sony has talked about internally. We're very much looking forward to what Sony does next.